The history of beards begins with, or course, the history of man. Peterkin reminds us that the first beards were grown “naturally and unceremoniously.” The meaning of facial hair has changed practically with the tides. You should grow a beard if you want to. That’s the bottom line. Not if society says it’s more masculine. Not for charity, like the Movember Movement. If you want hair on your face - then grow hair on your face. Now, the “Movember” movement is a force for good. Movember is an event. And it’s a foundation, a multinational charity that has raised $17.1 million in 2017 alone. Movember stands for men’s health - physical and mental. The idea behind Movember is that growing a moustache (or beard) can become a talking point about the issue of men dying young. Their website claims that “your Mo can inspire donations, conversations and real change.” Mo is what they call mustaches. Read more about it on their website. But that doesn’t mean you should be pressured into growing facial hair. You can actually donate anytime of year regardless of sponsorship or personal hair choices. They’re a great cause with great style. Beards are like tattoos, but practically free and less permanent. You should grow a beard for personal expression. The face is the jewel of first impressions, so what you put on it is massively important to how people perceive you. If you want to come across as commanding and masculine, you might try a well-kept, full beard. This style would be simple and if you already have beard-upkeep equipment, it’ll be free. But beware - beards are only practically free. Should you desire a more complicated style, you may have to pay for barbers and more advanced gear and oils and creams. Additionally, beware the permanency of the internet. 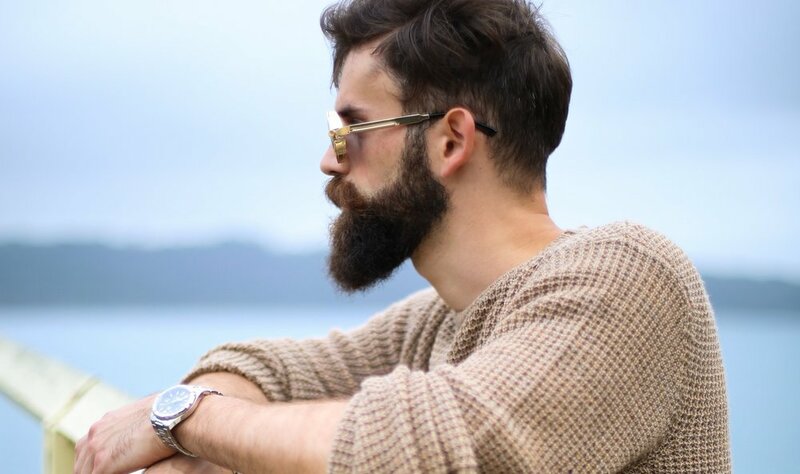 A bad beard style might stick around longer than you want. So you want to grow your own beard? Peterkin gives a great, albeit outdated, list of things to keep in mind. Face shape, trimming tips, beard planning are all touched on. The general method is, first, decide which style you would like. Maybe a Fu Manchu, a Van Dyke, or great sideburns. Or, just a regular beard. After you decide your style - stop shaving. For about six weeks, giving your beard plenty of time to get past any awkward lengths, and giving you more beard to work with. Next, Peterkin advises you visit a professional barber for your first shaping, so that you can follow the lines at home. This can be expensive in the city, but if you’re going for a complicated style, or have little experience with beard styling, the cost is certainly worth it. Make sure to over-communicate what you want - a bad beard cut is usually due to poor communication with your barber. Bring some reference photos. Now, you may be worried about job interviews, which is reasonable. Unless you’re going into a very conservative field, most companies won’t outright not hire you because you sport a beard. That being said, for the interview, you’re beard needs to be very well-kept. I don’t care how straight you think those lines are, make them straighter. If you have stubbly, or an otherwise patchy beard, just go clean shaven. In conclusion, you basically either need to go clean shaven, or sport a full beard. Studies show that anything in between is generally considered unclean. So for those six weeks, you might as well just hide out in the abandoned City Hall subway station.